Everyone seems to love the Bioré Self Heating One-Minute Mask, but we were skeptical. Face mask results in just one minute? We finally tried it and we have to admit – we were wrong. We love this mask! Read on to learn why. Charcoal face masks have been recommended for acne prone skin for a long time, but Bioré finally simplified the process so it is easy to use – and fast. This one-minute face mask promises to de-gunk pores and soak up extra oil using charcoal and zeolite. 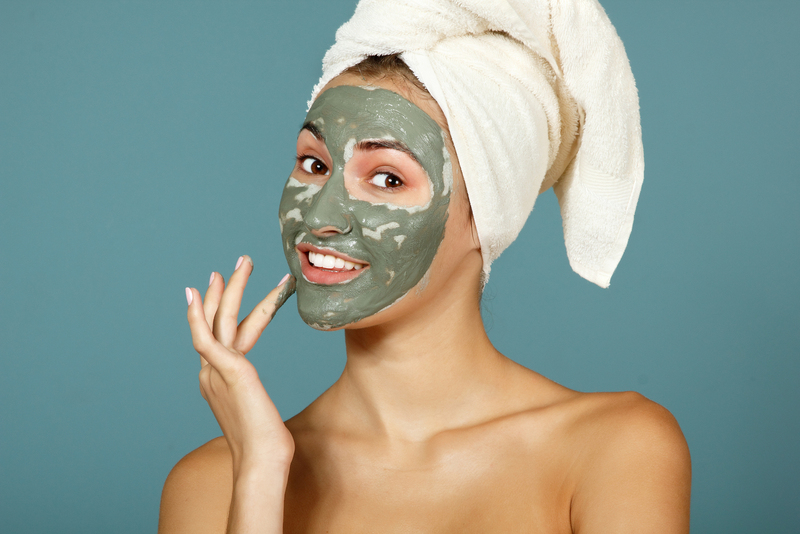 To use the mask, simply wash your face then rub the gray paste all over wet skin. You should feel warmth and tingling on your face; the warmth opens your pores for a deeper clean. After one minute, rinse your face and follow up with an oil-free moisturizer. We loved that this charcoal face mask comes in single serving packets so you can apply the right amount of product quickly and easily. That said, it can be tricky to tear open the packet with wet hands so plan ahead. If you have oily skin, then you know what a battle it can be to keep your pores looking small and combat blemishes without drying out your skin. Regular face masks work well to reduce the amount of oil and gunk in pores, minimizing their appearance, but they can be time-consuming. After just one use your skin will feel smooth and soft, without that icky sheen of oil. Your pores will be visibly smaller. With regular use, you can keep your skin clean, reduce breakouts, and reduce pore size by applying the mask once a week. Now who doesn’t have an extra minute for that? We love how this Bioré face mask delivers results quickly, so we can get our pores cleaned even during super busy weeks. What other go-to beauty products top your list of fast favorites?